Life is busy. We’re constantly running around doing a million different things at once, and juggling so many activities can make you physically, mentally, and emotionally drained. We know the struggle. Often times, with that struggle comes stress. And sometimes, it’s hard to find a way to truly relieve that stress. Why not color it out? Coloring acts as a good way to divert your attention into something more positive, and is a peaceful way to relax and unwind after a long day. The Portable Color Me Calm Coloring Kit includes 70 different templates to choose from, along with 5 twistable crayons and 4 double sided colored pencils. So pour yourself a large glass of wine, turn on your favorite tune, and get started with some coloring. Who says coloring is just for kids? 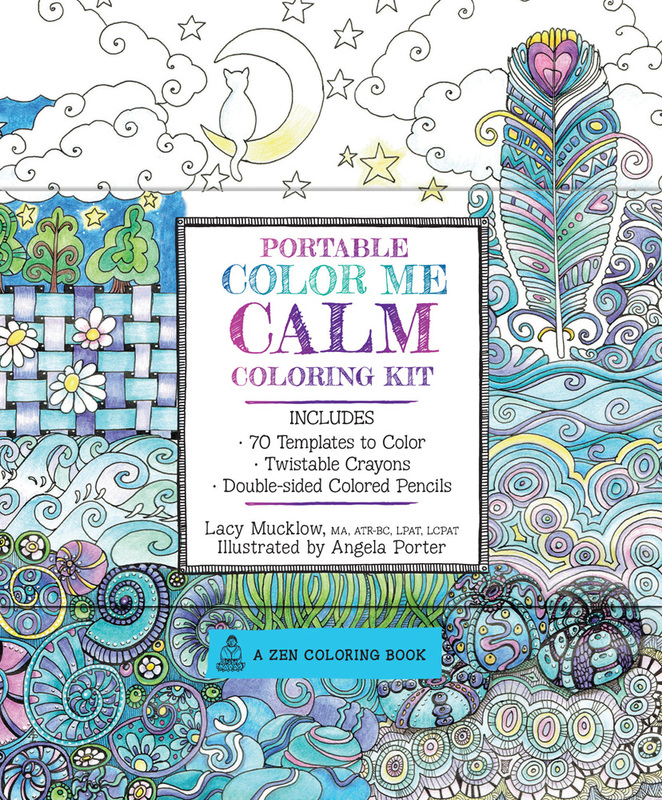 The Portable Color Me Calm Kit includes a guided coloring book, twistable crayons, double sided colored pencils, giving you everything you need to get started! This kit is designed for busy adults and formatted to fit easily in your bag and includes the pencils and crayons for people on the go! Organized into therapeutically-themed chapters including Mandalas, Water Scenes, Wooded Scenes, Geometric Patterns, Flora & Fauna, Natural Patterns, and Spirituality, this kit examines the benefits of putting pencil to paper and offers adults an opportunity to channel their anxiety into joyful creative accomplishment. Part of the international bestselling Color Me series, Portable Color Me Calm Kit is the perfect way step back from the stress of everyday life, color, and relax even when you’re on the go! Don’t forget to try Portable Color Me Happy Kit and the full-sized coloring books, Color Me Stress-Free, Color Me Calm, Color Me Happy, and more!